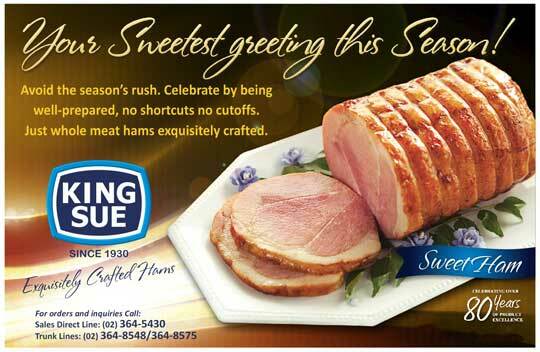 King Sue Hams for Christmas! 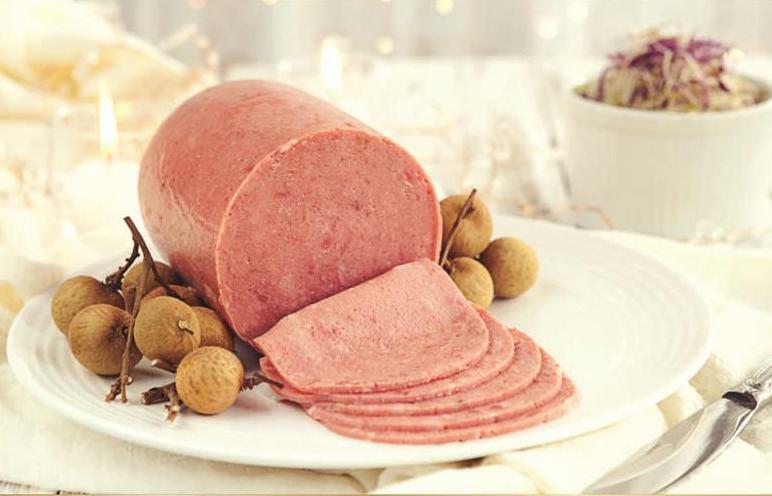 I found myself humming this classic Christmas song upon taking out the newly-heated ham from the oven, the King Sue Piña Ham. When the savory, smoky-sweet aroma lingered in our small kitchen, it truly smelled like Christmas! I was already salivating just with the delicious aroma alone! I got excited for the taste test. When dinner was served, my little boy had the first slice and then he asked for another. And another. It was a sure sign he was enjoying the food. My husband said he loves its fresh and smoky taste and when I tried it myself,I agreed. 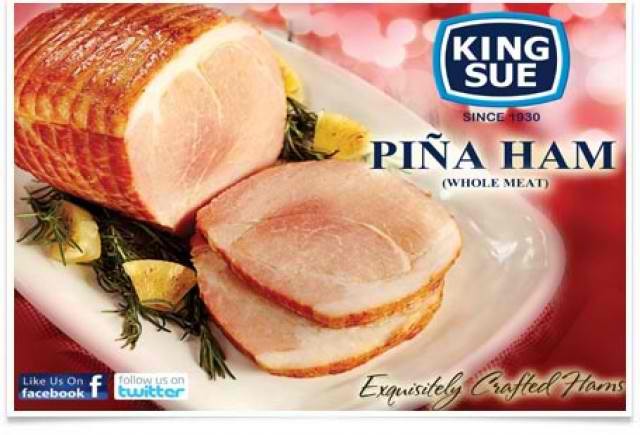 Our verdict on King Sue Piña Ham: FAMILY APPROVED! 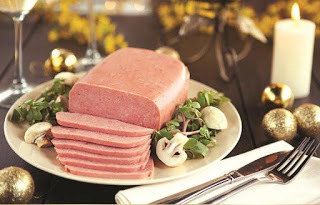 I come from a family of ham lovers. 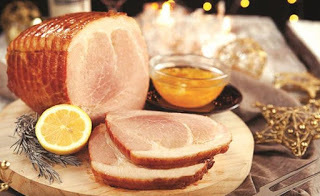 Growing up, my mom usually makes homemade hams for the family and some to give to our relatives as gifts for Christmas. This is why, I am quite choosy when it comes to hams—it has to meet my “mom’s standards” (Mama would love to read this)! 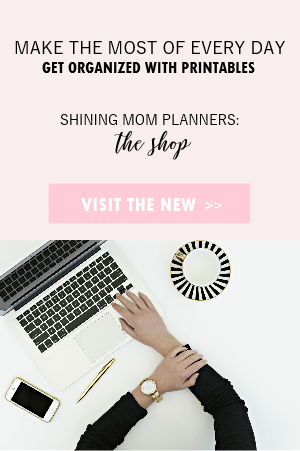 Now that I have a family of my own, I sort of copied that tradition. I give ham to our relatives as a Christmas gift but since I wasn’t taught by my mom how to make homemade hams, I just buy from supermarkets. 🙂 Anyhow, I do two things before buying ham to make sure it is of good quality: (1) I check the manufacturing date to make sure they it is fresh (2) I smell and visually inspect it. 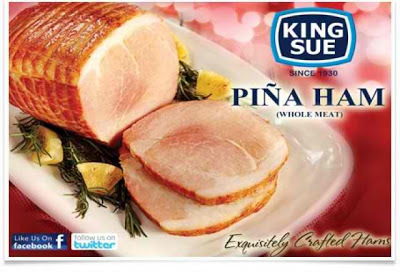 Endorser aside, I am really considering giving King Sue Pina Ham as a gift to my relatives this Christmas.Why? It’s tasty and budget-friendly. I think it’s going to be a sweet way to greet my relatives this season of the year. A little background sent to me about the brand: The King Sue Ham & Sausage Co. is one of the pioneers of the local meat processing industry. 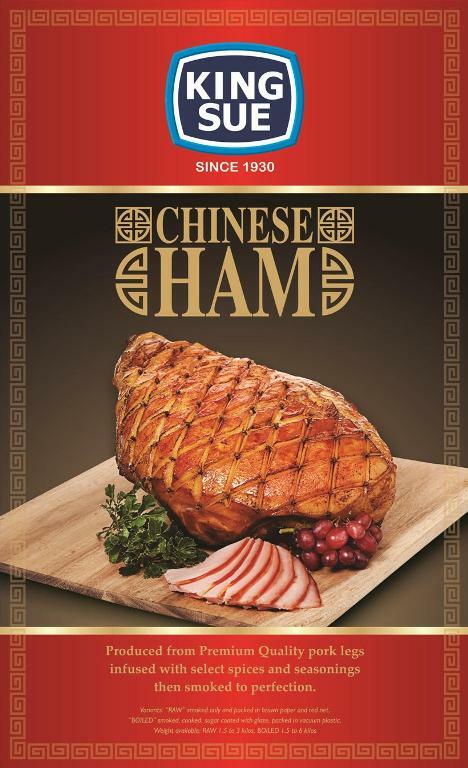 It has been celebrating over 80 years of product excellence in the market and it commits to deliver quality and freshness stand behind every ham they sell so that we can experience the product in its flavourful and tender best. Hawaiian Ham. 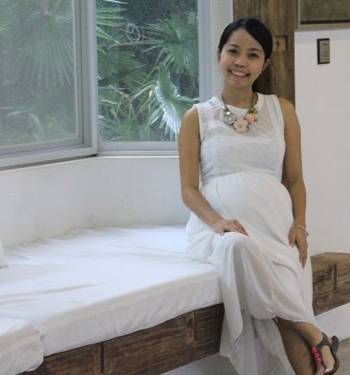 They say that his is best served as pica-pica or tossed with fried rice. Pear Shaped Ham. This is a Christmas delight that is light on the pocket. Pina Ham. My family’s new favorite. It has smoky and sweet taste. I have also seen King Sue’s Chinese Ham at the grocery store this morning and I am really looking forward to try it. I’ll surely have a taste test before Christmas! It’s big and it looks good!